Cairo (Agenzia Fides) - The Copts of Egypt have suffered growing political and social marginalization since the 1950s. But this trend has actually reversed in the last seven years. And many unpublished facts - such as the visit of President Abdul Fattah al-Sisi to the Cathedral to congratulate the Copts on their feasts and restoring the demolished churches restored such balance, eliminating clamorous discrimination against Egyptian Christians. 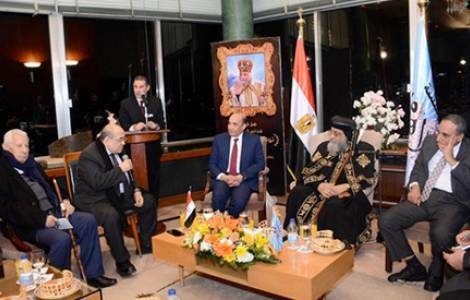 This is what Coptic Orthodox Patriarch Tawadros II underlined during his meeting with the leadership and journalists of al Ahram publishing group. The Patriarch's visit took place on Tuesday, January 23, during the inauguration of an exhibition of the oldest historical publications of the newspaper.